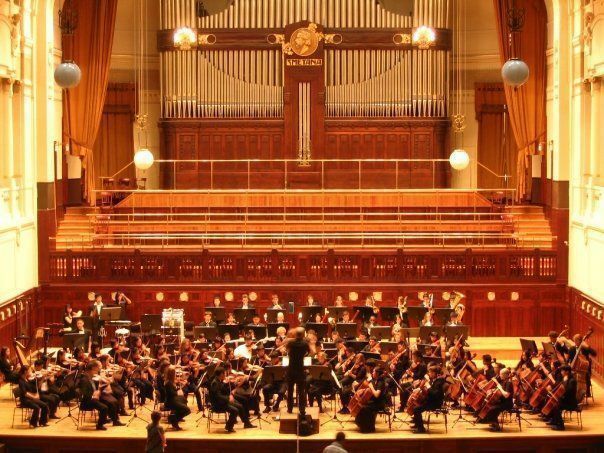 In the summer of my junior year of high school, the Claremont Young Musicians Orchestra went on a two-week tour of Europe, performing five concerts total. I was a violinist in the orchestra, and though it would take me some time to realize it, this trip undoubtedly changed my life. We went to Germany, Czech Republic, Austra and Italy. Although it seems like an inconceivable idea now, I really just wanted to go home, and this thought constantly plagued me throughout the trip. During the second week, I had a fever, which in turn triggered asthma attacks. By the time we performed our fourth concert; I was fevering badly and could barely remain conscious. I remember standing in line for the Vatican or the Catacombs, miserably wishing I was somewhere else. But as soon as I entered into the Sistine Chapel, or into the cool depths of the Catacombs, my mindset was immediately forced to switch into a different mode. I could not stop gazing in wonder and awe at artwork that Michelangelo had touched himself, or the rough walls of the underground maze and grave. Images of terraced trenches and the dampened smell are engraved into my mind. Layers and layers of thought, genius, and simple human experience were in every piece of art and architecture. I still close my eyes at times and remember the warm rush of colors that filled the high walls of the concert halls, and the way our conductor ecstatically raised his arms for us to stand as the audience applauded at the end of each performance. I remember getting with some friends and taking pictures creepily of couples watching the sunset in the distance, surrounded by beautiful rolling hills and lakes in Germany. Or shrieking in laughter as half of the orchestra got in one bus and each member sang their own instrumental parts to a symphony, and then dissolved in a fit of giggles because everyone sounded so ridiculous. But what I remember and long for most was the simple way that music permeated my life so intensely within those two weeks. Our repertoire was designed especially for the trip, and one of our pieces was called The Moldau by Smetana. The piece depicted a flowing river that actually existed, and we literally drove by the Moldau and played the piece in Smetana Hall. I remember right before that concert, I could not stop looking up at the gorgeous designs that decorated the immense building. Pipes stretched from the floor to the ceiling to constitute one of the most magnificent organs I had ever seen in my life, and the colors made me nearly nauseous with their overwhelming saturation. The way that my memories of Europe play through in my mind holds such a dream-like quality; almost as if we were all in a movie. The sounds, the sights, the smiles, the tears, they are all subdued or exaggerated, and hardly ever accurate. This is the way life is, I suppose. In retrospect, one never looks at experiences the same way or with the same attitude. But I know that this is an optimistic and good occurrence, because remembering Europe this way has made me learn to love my life with more vigor, more richness, and I am always grateful. Next Article Next Article Viva Republica Dominica! Viva Wyndham Dominicus Palace!